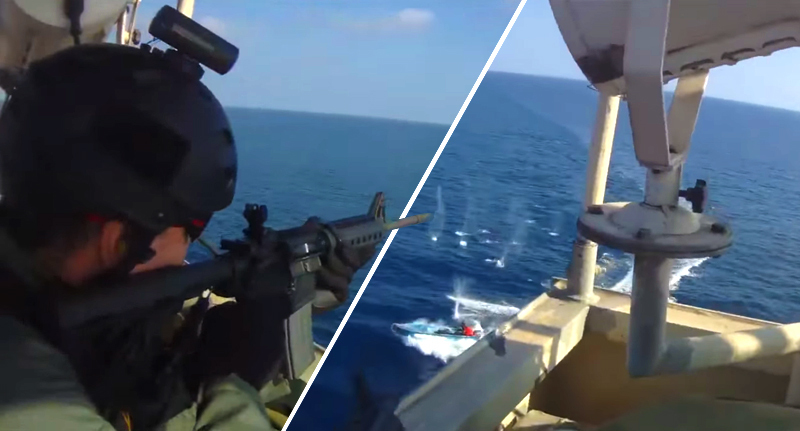 Footage has captured an intense maritime artillery stand-off between Somali Pirates and the private security guards aboard a ship. Pirates were filmed attempting to board and hijack a cargo ship as it made its passage across the ocean. The security guards, who were privately hired, were quick to fire off rounds of ammunition at the seafaring opportunists. It is unclear whether they were meant as warning shots or the guards were shooting to kill – and it is unknown whether any of the pirates were injured in the bullet shower. 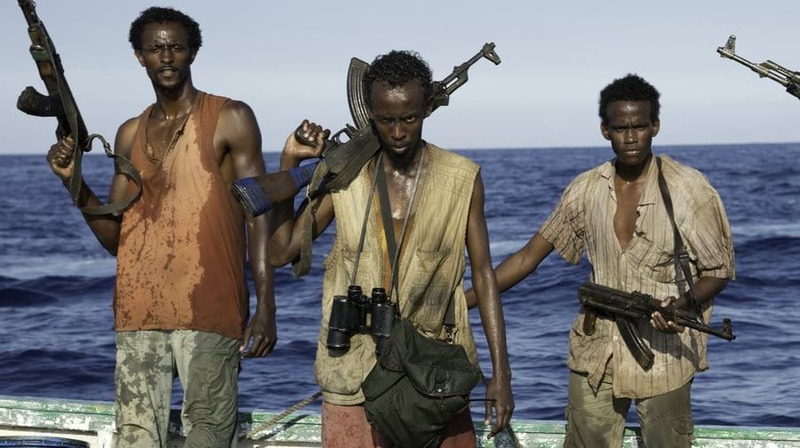 Commentators have compared the real life footage with the tense maritime crime epic, Captain Phillips, starring Tom Hanks and Academy Award-winning Barkhad Abdi. It is believed the incident occurred some time ago, but the footage has recently resurfaced online after foreign naval forces shot dead two Somali pirates off the Gulf of Aden on April 15. The incidence of pirate attacks on freighters worldwide seem to be on the decline and the Maritime Executive reports armed security teams deterred eleven attacks in 2016.